He's been saving this for you, baby. 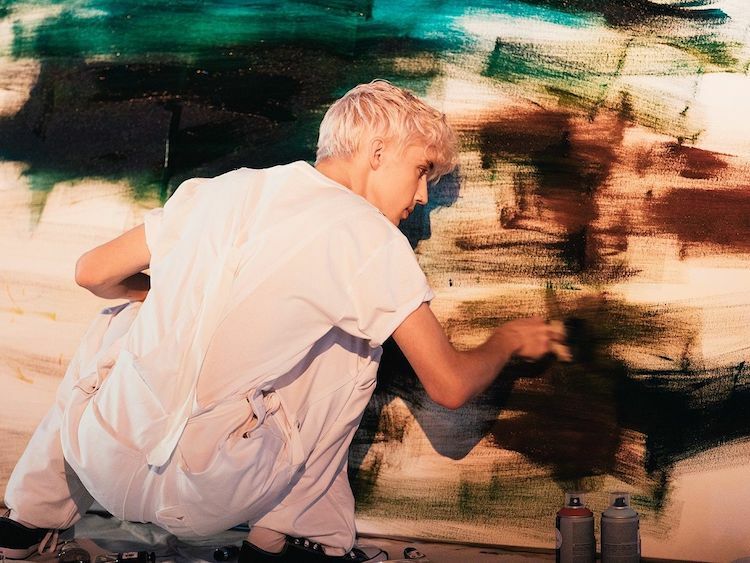 When Troye Sivan’s sophomore album Bloom came out at the end of the summer, he paired up with Pandora to give his fans art upon art by creating paintings inspired by his own music. As promised, that artwork is now being auctioned off to benefit the Ally Coalition and at-risk LGBTQ youth. Paintings “Blue Sky” and “Animal” are recognizable from the original video, while “Abstract” is perhaps from the fourth canvas he left unpainted at the time. The third work Sivan is shown painting in the video, which he said he could have seen as his album cover, isn’t listed for sale. Here’s your chance to take a piece of Bloom home! We’ve partnered up with @troyesivan and @pandora to challenge Troye to capture the sounds of Bloom on canvas. Despite having never painted before, Troye took to the easel like a natural. Bid now on one of his exclusive and one of a kind paintings and help us as we support at-risk LGBTQ youth. Swipe left to see all three pieces up for auction. Link in bio to learn more. Sivan may not be a professional painter (the Ally Coalition notes that he has “never painted before”), but fans will surely be excited for the opportunity to own and display something the singer created with his own hands nonetheless. Though you’d better be prepared to shell out some solid cash for the honor — bidding is already pushing $1000 USD for two of the paintings and will undoubtedly climb a lot further before the auctions are up. But hey, it’s for a good cause.